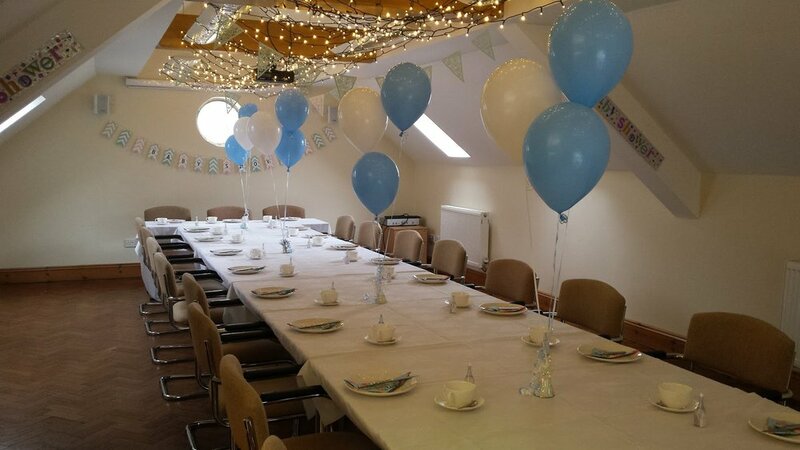 We have a lovely room above the tea room that is a perfect venue to celebrate a baby shower. The room can accommodate up to 35 people. Our most popular package is for Afternoon Tea at £15 per head, plus a £25 room hire charge. Enjoy a selection of finger sandwiches on white and malted bread, individual cakes and pastries, a fresh fruit scone with jam and clotted cream and unlimited Yorkshire Tea or freshly ground Shropshire Coffee. Why not add a few bottles of prosecco too! We provide white linen tablecloths, all crockery and cutlery and pink, blue or floral print napkins and can lay out the tables in whichever way you'd prefer. 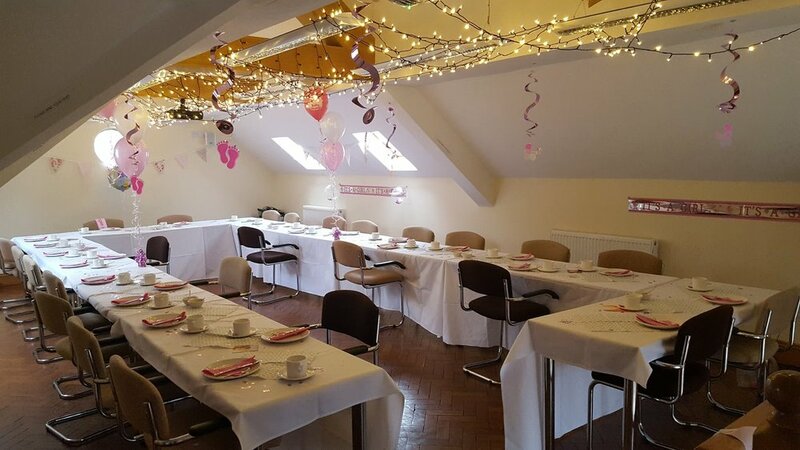 The room is yours for the whole day, so you have plenty time to decorate beforehand and there is no need to rush off afterwards! If the room is free the day before you are welcome to come in then too and set up!